We will always try to find your sale but if we have no information it's like finding a needle in a haystack! We are happy to help you with this process. Need your item within 24 hours?. Most goods are processed within 24 hours for dispatch. £ 169.60Buy It Now. 04.03 - 11.09. 06.06 - 11.09. 01.06 - 11.09. ENGINE CODE. 04.00 - 03.10. 1.9 TDI 4motion. SHARAN (7M8, 7M9, 7M6). 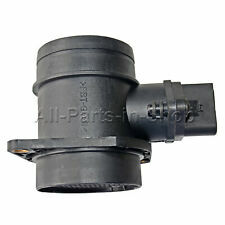 I belive this is for a VW CADDY 1.9 TDI 2.0 SDI - Bosch MAF Mass Air Flow Meter Sensor. This is unused stock please make sure that this is for the correct vehicle as i do not accept reuturns. The Condition is New. Dispatched with Royal Mail 1st Class. PART NO: 0281002461 0986284007 1209109 3M2112B529AA 074906461B. APPLICATION:AUDI VW SKODA SEAT. New & leadingtechnology H ot-film sensor head. BUY BRITISH PRODUCTS. SUPPORT BRITISH INDUSTRY. You can find original part number on the housing of your existing unit. PART No: 038906461B 0281002531 0986284009. AUDI A3 (8L1) 1.9 TDI Hatchback 2010- 74 100 1896. AUDI A3 Convertible 1.9 TDI Convertible 4.08- 77 105 1896. AUDI A4 (8E2, B6) 1.9 TDI Saloon 05.01 - 12.04 74 101 1896. 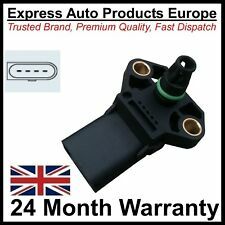 Bosch 0281006059 / 060 4 bar map sensor for vw audi tdi hybrid turbo upgrade.. Condition is Used. Dispatched with Royal Mail 1st Class. VW LT 28-35 II Bus (2DM) 2.5 TDI Diesel 1999/05 - 2006/07 ANJ, AVR 109. SKODA SUPERB (3U4) 1.9 TDI Diesel 2002/08 - 2005/10 AVB 101. VW LT 28-35 II Bus (2DM) 2.5 TDI Diesel 2001/05 - 2006/07 BBE 83. VW LT 28-35 II Bus (2DM) 2.5 TDI Diesel 2001/05 - 2006/07 BBF 95. FOR YEARS: 2008, 2009, 2010, 2011, 2012, 2013 (2010). MON - FRI 9AM-6PM. OE reference number 0281002531 was bought for a BKE engine but may fit others. This is a maf sensor I bought for my VW sharan 2007 TDI BKE last year, I had been having poor running issues and suspected I had a faulty MAF sensor, I replaced it with this one which made no difference. 2.0 & 3.0 TDI DIESEL ENGINES. A6 2009 - 2011 2.0 & 3.0 TDI. BOSCH - PRESSURE RELIEF LIMITER VALVE: 0 281 002 859 / 057 130 764H. Q7 2007 - ON 3.0 TDI. TOUAREG 2007-2010 3.0 TDI. DELPHI - RAIL HIGH PRESSURE SENSOR: 03L 906 054 A.
VW Golf MK4 00-04 hatch 1.9 TDI PD ASZ and ARL engine sensor pack N75 vacuum pipes. Condition is Used. Hoses all labelled. PART NO: 0281002461 0986284007 1209109 3M2112B529AA 074906461B. APPLICATION:AUDI VW SKODA SEAT. You can find original part number on the housing of your existing unit. No gimmick on the price! No quibble on the service! Turbo Solenoid N75 Valve. The solution is to add lubrication to the shaft of the solenoid valve. Loose parts will cause the solenoid valve structure to be unstable, so the solenoid valve will vibrate during operation. Reference OE/OEM Number: 0281002531, 0281002532, 0986284009, 038906461B. Manufacturer Part Number: 0281002531,ATAF4005. For VW Golf 1999-2008. For VW Golf Plus 2005-2009. For VW Bora 2000-2005. 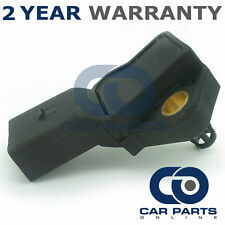 For VW Golf V 2007-2009. Reference 1J0973704 1J0 973 704. 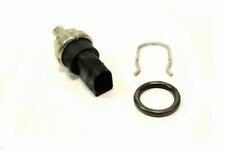 VW VAG 4 PIN CONNECTOR FOR MAP SENSOR. MAP Sensor. 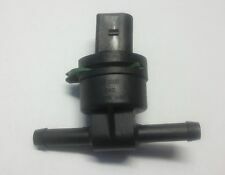 Here at H2F connectors we hold the full database for every model of vehicle, and its use that this connector is used for. 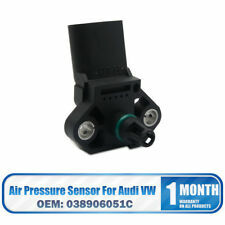 Vw Beetle 2002 Air Mass Sensor . Condition is New. Dispatched with eBay delivery – Shutl 2-3 days. 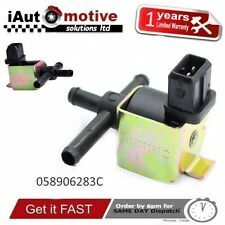 Audi VW SEAT SKODA TURBO PRESSURE SOLENOID N75 VALVE. High quality Turbo Pressure Solenoid Valve. 1x Turbo Pressure Solenoid Valve. Audi Seat Skoda Volkswagen 1.8T Petrol engine models . Audi A3 from 1996 to 2003, models 1.8T Quattro. 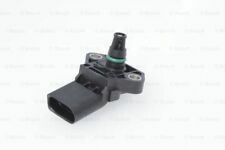 MAP SENSOR / MANIFOLD PRESSURE SENSOR / BOOST SENSOR Compatible Part Number: VW Part Number - 038 906 051 C Bosch Part Number - 0 281 002 401 Quantity sold: 1 piece Air & Fuel Sensor Type MAP Sensor Other Part Number 038906051C Manufacturer Part Number Does Not Apply Brand GREENGO EAN Does not apply Classic Car Part Yes. PART No: 5WK97023 03L906461. APPLICATION :AUDI VW SEAT SKODA. New & leadingtechnology H ot-film sensor head. OEM QUALITY. BUY BRITISH PRODUCTS. SUPPORT BRITISH INDUSTRY. No gimmick on the price! No quibble on the service! Compatible with certain makes of Audi VW Skoda Seat. Number is located on the MAF sensor. Used once for diagnostic purposes on Seat Leon Mk1 1.8 Turbo 20V. Seat Exeo 2009 - 2013 2.0 TDI 3R2 [2008 onwards] Saloon CAHA CAGA or CAGC engine codes only. VW Passat 2000 - 2005 1.9 TDI 3B3 [2000-2005] Saloon AVF or AWX engine codes only. VW Passat 2000 - 2004 1.9 TDI 4motion 3B3 [2000-2005] Saloon AVF or AWX engine codes only. Manufacturer Part Number: 0280218071. Engine Code: BFH. Model: Golf Mk4 3.2 4 Motion R32. Warranty Period: Manufacturer Warranty if applicable - See Bosch website for more details. Gaghills Mill. Power (kW): 177. Scirocco (137,138). 2.0, 2.0 GTi. 2.0 GTi, 2.0 R. Passat (3C2/3C5). Jetta III (1K2). Golf V (1K1/1K5). Golf VI (5K1/517). This will fit the following vehicles:-. SEAT LEON (1M1). LEON (1M1) 1.8 20V. AUDI A3 (8L1). A3 (8L1) 1.8. SKODA OCTAVIA Combi (1U5). SKODA OCTAVIA (1U2). A3 (8L1) 1.8 quattro. LUPO (6X1, 6E1) 1.2 TDI 3L. VW BORA (1J2) 1.9 TDI 09.2000-05.2005 74 101 1896. VW BORA (1J2) 1.9 TDI 4motion 09.2000-05.2005 74 101 1896. VW BORA Estate (1J6) 1.9 TDI 09.2000-05.2005 74 101 1896. VW BORA Estate (1J6) 1.9 TDI 4motion 09.2000-05.2005 74 101 1896. 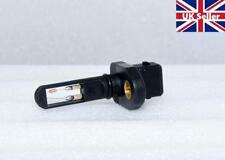 2007 VOLKSWAGEN GOLF MK5 1.9 DIESEL MASS AIR FLOW SENSOR METER 038906461C VW. Condition is New. Dispatched with Royal Mail 2nd Class. 1.6 TDI [105HP-77KW] CAYC, CLNA. 1.6 TDI [102HP-75KW] CAYD. 1.6 TDI [90HP-66KW] CAYB. 1.6 TDI [75HP-55KW] CAYA, CAYE. Golf Plus 521 [2009-2013] CAYB, CAYC. Yeti 5L [2009-2017]CAYC. Superb [2008-2015] CAYB, CAYC. VW BORA (1J2) 1.8 T Petrol Engine 2000/05 - 2005/05 AGU, ARX, AUM, BAE 150. VW BORA Estate (1J6) 1.8 T Petrol Engine 2000/05 - 2005/05 AGU, ARX, AUM 150. VW PASSAT (3B2) 1.8 T Petrol Engine 1996/10 - 2000/11 AEB, ANB, APU 150. 5 pin Mass Air Flow Sensor MAF Harness Pigtail Connector Cable 4F0973705 Fit for VW AUDI. 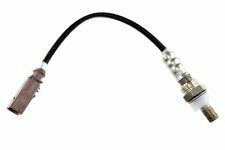 Item included: 1 x MAF Connector Pigtail Cable. 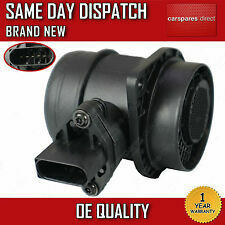 Compatible With: fit for Audi A6 A4 Volkswagen Jetta. Cable length: approx. [2005-2011]. [1997-2006]. [2005-2013]. [2006-2016]. [2001-2016]. [2003-2009]. [2003-2008]. [1995-2004]. New Beetle. Lead Length We will always try to find your sale but if we have no information it's like finding a needle in a haystack! We are happy to help you with this process. Need your item within 24 hours?.